SIBO stands for Small Intestinal Bacterial Overgrowth. The small intestine connects the stomach to the large intestine or colon. It is 20 feet in length and its primary function is to absorb nutrients and minerals from the food we eat. While the colon typically hosts a large amount of bacteria, few bacteria normally reside in the small intestine. SIBO is defined as an increase in the number of bacteria in the small intestine. Commonly SIBO is an overgrowth of various types of bacteria that normally live in the colon; they are just displaced. Potential causes of SIBO include: low stomach acid, constipation, decreased bowel motility, excessive antibiotic usage, and a diet high in sugar or alcohol. or sensitivities, autoimmune diseases and systemic inflammation. Common symptoms of SIBO include abdominal bloating, nausea, constipation or diarrhea. At times people can have joint pain, fatigue or rashes. In more severe cases, there can be weight loss and vitamin deficiencies. Up to 15% of asymptomatic people have SIBO, while it is estimated that 75% of people with irritable bowel syndrome (IBS) have SIBO. SIBO can be diagnosed via a breath test which measures the amount of hydrogen and methane gases emitted from one’s breath after drinking lactulose (a non-absorbable sugar solution). Gas levels rise as the lactulose passes through the intestine as a result of the bacteria fermenting the sugar. If the gas levels rise to an abnormal level, a diagnosis of small intestinal bacterial overgrowth can be made. Treatment of SIBO can be difficult and about 50% of people have recurrence within one year. Antibiotics (i.e. Rifaximin) and/or natural antimicrobials (i.e. Berberine) can be used for treatment. In addition, it is important to follow a certain diet of low fermentable foods. It is also imperative to treat the underlying cause of SIBO (i.e. low stomach acid, constipation, etc.) to prevent recurrence. 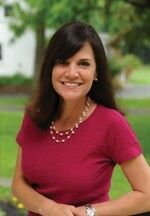 “I have been a patient of Dr. Broyles for over a year now, and have found her to be a kind and concerned professional. I have been having trouble with my weight since I was a child. Over the years I have gained and lost more weight than I could count. At 67 I was heavier than I had ever been in my whole life. It didn’t seem to matter what I did to lose weight I still kept getting heavier. In February of 2013 Dr. Broyles asked me if I was really serious about losing weight; I told her if I don’t do something I was fearful of death. At that time she began to work with me on a weight management and proper eating program. I have lost 25 pounds since I’ve started eating properly. I feel much better and stronger. The swelling in my legs is all but gone. I was getting varicose veins around the ankles and starting up my legs. They are disappearing. Blood pressure is down. Sugar is down. Cholesterol is down. My clothes fit better and I feel better. I am happy . . .” ~ Bob V.
“I was tired of being treated for each symptom and not as a whole person. I thought that the few issues I have could be interconnected, like my migraines and hormonal issues such as night sweats. 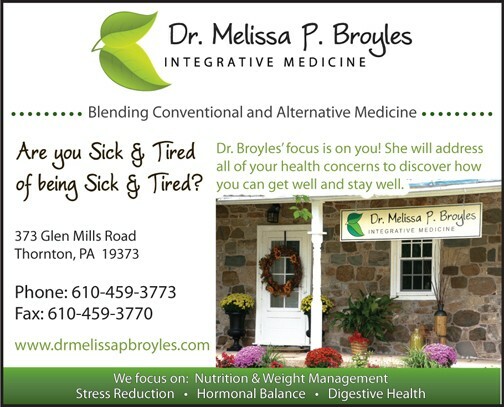 I wanted to see an Integrative physician who would address all of my problems. I have been seeing Dr. Broyles for four months and can honestly say that I have not felt this well in a long time. I am now off of my blood pressure medication, I am on vitamin supplements, and we are addressing my hormonal imbalance. Dr. Broyles listens to all of my concerns and tries both conventional and alternative solutions. She is very patient and spends a lot of time both listening and explaining what could be wrong, and how to address the issues. Her office is warm and relaxing, and is conducive to healing. I am very happy that we have started this relationship.” ~ Maria M.
← Previous Story How Loud Is Too Loud-When You’re Having Fun?